We knew it was coming, but now that Sprint finally decided to share its plans of transitioning to LTE, let us explore all the benefits that will come from this, both for Sprint itself and, more importantly, for customers. Right from the start, it should be clear that this was bound to happen. Even if we take a quick glance at the 4G-less past, back when we were still anticipating the debut of 4G here in the States, we knew that LTE was the future, not WiMAX, because of its capabilities to achieve significantly higher theoretic data speeds, as well as lower latency times. So, why did Sprint go for WiMAX initially? Well, our guess is that the carrier simply wanted to be ahead of the competition when it comes to outing a "4G network". And ahead it was - released on June 4, 2010, the HTC EVO 4G was the very first 4G phone in the U.S., arriving at the scene with a significant lead. But, while Sprint was enjoying its status of being the first carrier in the States to be able to brand its handsets "4G", Verizon was heavily investing in its future LTE network - a network which would be beneficial not only for the next couple of years, but in the long run as well. Let's fast forward a year and observe today's landscape. As you all know, Verizon's LTE network is already up and running, and it also has a number of LTE smartphones in its line-up, including the much-anticipated DROID BIONIC. So, not only is Verizon enjoying a working 4G network of its own, it's also bringing 4G products to market, and working to expand its coverage. Meanwhile, AT&T's LTE pipelines are already operational, although the carrier still lacks an LTE phone in its ranks. And all of a sudden, it becomes clear that it is high time for Sprint to start a transition to what is known to be the mobile network technology of the future (of the near future, at least). That's exactly what we're seeing today, and that's why it is so important for Sprint to really catch up soon. The nation's third-largest carrier does intend on catching up quickly, of course, as it has announced its plans for an aggressive LTE roll-out. 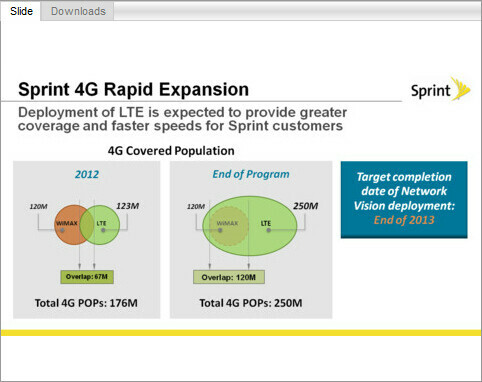 In 2012, Sprint hopes to have built an LTE network as large as its current WiMAX one (judging by today's presentation, we shouldn't expect its WiMAX network to develop much from now on). And in 2013, the Now Network's LTE coverage should greatly surpass and overlap with its WiMAX coverage. Here's for hoping that Sprint has timed this one right, because it does look a bit like a last-minute move to us. The concrete benefits for Sprint, and for consumers are pretty much obvious. For Sprint, it will be a long-awaited optimization of the network architecture. Finally, it will be able to concentrate on operating a single network, instead of the three it has now - CDMA, WiMAX and iDEN. All of that will fit into the carrier's future multi-mode base-stations, combining both its 3G and 4G pipelines. Naturally, this will allow the company to save significant resources. Secondly, it will be able to perform on par with its rivals, and specifically - with Verizon. On the other hand, customers of the carrier will enjoy all the good stuff that comes with LTE technology - faster data rates, better performance due to lower latency, and eventually, better products, as it would be normal for manufacturers to become better at crafting LTE devices, since that will be the norm pretty soon. If Sprint is to be one of the very few carriers in the world sticking with WiMAX, sooner or later it would find itself in a position where its offerings would have become visibly inferior to those of the competition. We should all be glad that Sprint has publicly announced its transition from WiMAX to LTE, and we also hope that the carrier will indeed succeed in pulling off its planned aggressive LTE roll-out. After all, we can only benefit from competition, so we don't want the Now Network to fail. They will still be producing WiMAX smartphones through 2012 though, and when you factor in the addition of the iPhone, who knows, this just might buy them enough time to catch up. ---" So, why did Sprint go for WiMAX initially? Well, our guess is that the carrier simply wanted to be ahead of the competition when it comes to outing a "4G network"." --- Ray, Unused spectrum can only be held onto for a small time. If not utilized in this time frame, the said spectrum needs to be forfeited. Sprint's 2.5Ghz spectrum was due to expire. WiMAX was a ready technology. LTE was just talk. Yes, being first was beneficial, but it wasn't the main ploy for going WiMAX. In Short, Sprint really didn't have a choice. It was move it of lose it. John B.
Wow...somebody actually figured it out. Evo-ninja, Did you not read my post before yours? Sprint did not have a choice. The move to a ready technology was imminent or they would lose the spectrum necessay for the rollout. LTE was not a ready technology. It was not in complete control of Sprint for deciding on WiMAX or LTE. At least they were smart to include LTE hardware into the WiMAX infrastructure when building it. Please understand the provisioning of their premise before condemning them for the move. Sprint gets a bad wrap no matter what they do. But it is also important to understand the great things they do as well. This news is very useful and exciting for Sprint and their customers as well as potential subscribers alike. John B.
I dont think sprint really screwed up. The wimax 4G is a huge difference from 3G and I'm satisfied with the speed. And if they want to upgrade to LTE, even better. I'm still going to have 4G until then aka satisfactory. btw I'm still using my EVO 4G since it first came out and I dont see a need to upgrade until next year or so. Even with all these new beefy phones coming out. That's how satisfied I am. what about the gs2 we just got will it be able to use lte on sprint next year? They didnt include LTE into the current Wimax network infrastructure. LTE and Wimax are completely differenet technologies. Sprint Network Vision will upgrade all their tower to multimode towers that can operate multiple technologies and frequencies. It doesnt include Wimax into these new towers because the Clearwire's Wimax network is separate from the IDEN or CDMA networks. Perry, LTE and WiMAX are NOT completely different technologies. In fact, they are far closer in compatibility than CDMA Vs.GSM due to both being based on the OFDM technology. The MiMo base stations will be installed and a simple software upgrade will be performed to make the multiple frequencies correlate with one station at each tower. Very efficient, cost effective and more notably, a quick transition. Clearwire and Sprint ARE different companies, but remember, they built the WiMAX ecosystem together using Sprint's infrastructure. That was part of the partnership deal. John B.
what about guys like me??? im due for an upgrade right now and i was about to get the sg2. Now should i wait for an LTE phone? WTH!!?? Is sprint getting the Nexus Prime? I haven't that they were. I hope so, the phone is a beast! Im speaking in terms of interoperabiltiy of the devices and network, ie LTE devices cant be used on Wimax and vice versa. They're separate companies, but Sprint currently owns 54% stake in Clearwire. What frequency is Sprint going to use? I thought the available LTE bandwidth was bought up by VZW and AT&T on 700Mhz. Where is this bandwidth coming from, are they (Sprint) borrowing some of their WiMax spectrum? ---" LTE devices cant be used on Wimax and vice versa. They're separate companies, but Sprint currently owns 54% stake in Clearwire." --- I agree on both accounts. In fact, as I stated, the companies are separate. 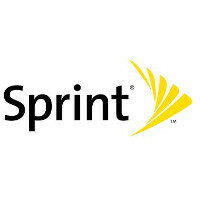 However, in order to form the partnership, Sprint exchanged their infrastructure for 54% share of Clearwire. So the towers are tied together in ownership terms. This leads to the LTE/WiMAX compatibility you spoke of. The directive is not to make the two the same, but rather coexist. So, I agree the two are not interoperable. We would need two separate radios in the handsets to achieve this.To clearify my original post, that is not what I meant. My understanding, is that Sprint installed the newest version of WiMAX when building out the network. Since there are many different variants of WiMAX technicalities, the older designs are not compatible with coupling an LTE mutiplex to the system. The latest version that Sprint installed, has this capability and allows easy coupling so the two can manage the different coding without conflict. This makes the transition far easier than having to start over. They simply change out some software and continue on. John B.
Slammer, you are very knowledgable. Thanks. I just can't wait when Sprint switches to LTE. I heard they were getting a lower spectrum which means better wall penetration right? I've gotta disagree. Verizon's LTE will likely wind up being the slowest of the major carriers. That's always been the Verizon tradeoff - better coverage, lower speed. My 3g on Verizon is ridiculously slow. 4G is awesome, but I have no doubt that ATT and Sprint will have much faster LTE. And Sprint will keep unlimited the longest. Best part, is that once Lightsquared gets passed the FCC, LTE will be on 1600mhz and 1900mhz bands. Sprint might actually make something great here.